Students interested in politics mingled with area political organizations at the Fall Political Campaign Volun- teer/Legislative Internship Expo Sept. 5. 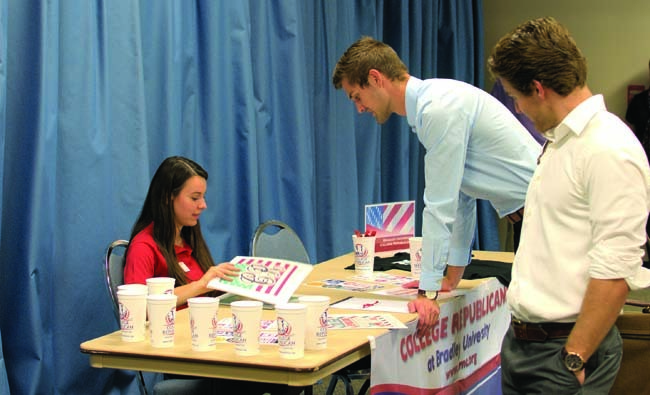 Pictured, sophomore political science major Olga Krapivner and the College Republicans helped students get involved. 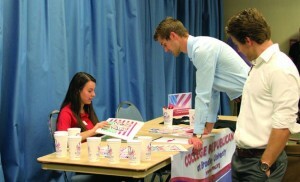 The upcoming congressional elections have candidates seeking both votes and volunteers. Representatives from state and federal political organizations came to recruit student interns at the Fall Political Campaign Volunteer/Legislative Internship Expo Sept. 5 in the Student Center Ballroom. Sponsored by the Smith Career Center, Department of Political Science and Institute for Principled Leadership in Public Service, the expo informed students how to get involved in politics. As chief of staff for State Rep. Michael Unes, Pelphrey returned to the Hilltop to recruit students as interns for both the legislative and campaign sides of the organization. 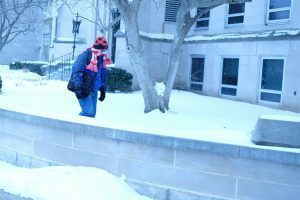 Pelphrey got his start in politics as a student with an internship for State Rep. David Leitch, which he coordinated through the Smith Career Center. Sophomore public relations major Danielle Teel said she hopes to someday be a campaign manager, so she attended the event to build her network of potential employers. According to Brad McMillan, executive director of the Institute for Principled Leadership in Public Service, the last political expo of this kind was in 2012, shortly before the presidential election. 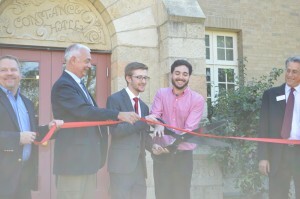 This year’s expo featured representatives from the offices of U.S. Repres. Cheri Bustos and Aaron Schock, as well as U.S. Congressional Candidate Bobby Schilling. Bustos and Schilling are running for the 17th District congressional seat, which represents Bradley and the surrounding areas. State political organizations at the expo included Reps. Keith Sommer and Bradley alum Mike Unes. 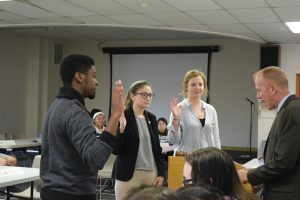 McMillan said the expo’s coordinators believed it was important to have both political parties represented to best connect students with opportunities. 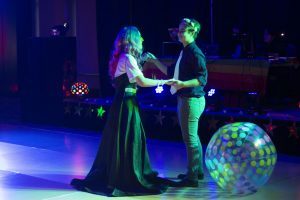 “What we really have a passion for is to see students get engaged, no matter their political party,” McMillan said. Pelphrey said he thought the expo was a good opportunity to show students how they can get involved with politics in ways other than running for office. “Many people that get involved want to run, but some don’t, and we still have a role for them in the process,” Pelphrey said. As for Bradley’s role in graduating significant politicians such as Aaron Schock ’02, former U.S. Congressman Ray LaHood ’71 and former U.S. House Minority Leader Bob Michel ’48, McMillan said he believes the Hilltop can turn people onto politics through its various opportunities. Those interested in internships with area campaigns and congressional offices may contact the Smith Career Center or Institute for Principled Leadership in Public Service through the Bradley website.